BBQ is hot right now with the success of places like Chaps Pit Beef so it is perfect time to open your own BBQ restaurant. Keep in mind though there is a lot that goes into making your restaurant successful. Besides hard work and dedication, you need to do a lot of preparation to ensure the best results. To help you make smart choices, check out this Entrepreneur’s Guide on How to Open a BBQ Restaurant. As with opening any business, you always need to do your homework first. Research the BBQ market to make sure there is room for one more restaurant. Without the customers, you know you are not going to be successful. Also get a good sense of what the initial startup costs will be and if you can truly afford it. You need to make sure that you don’t bite off more than you can chew. Without having enough money in reserve to handle the normal bumps in the road that happen when starting a new business, you might have to face closing your business soon after opening it. Your initial planning you should also include your overall vision for your restaurant. What is the décor? The atmosphere? How will you present the food? How do you want customer-staff interaction to look like? Allow your overall vision guide your every decision to keep you on the right track. Make sure you have laid out a very solid business plan before applying for loans or looking for restaurant space. Most entrepreneurs can’t find a restaurant completely on their own so knowing your financing options is important. Figure out how much you need to comfortably survive your first year of business and how much personal money you will be able to contribute. Then apply for the right amount of loan you need. Besides good food, the other indispensable ingredient for a successful business is a high-performing and passionate staff. Both on the floor, in the kitchen and in the back office, you will want to build a team that believes in your vision and will work hard alongside of you. You need a team you can count on and delegate to. With a BBQ restaurant, the work is never done so you need a team that is skilled in their position and hard workers. While BBQ restaurants are unique on their own, you still need to somehow differentiate yours from the other BBQ restaurants. To do that, see if you can carve out your own niche. If sustainability is really important to you, then make it a platform for your restaurant. If you pride yourself on providing everything farm to table, then emphasize that in your marketing and social outreach. Focus on what makes you unique and you will draw in people who share similar values. As a business owner, it is so important for you to have a social media presence. If you are not comfortable doing it yourself, then hire a social media strategist to maintain your social media channels for you. If you haven’t done so already set up an account on Facebook, Twitter and at least one other social media channel like Pinterest or Snapchat and use them to post pictures of your dishes and to let your customers know about upcoming events and specials. Encourage your customers to like your page and share it will all your friends. You will be pleasantly surprised by the power of social media and how easy it makes it to connect to your customers and to attract new ones too. This goes without saying, but with barbecue it can be especially challenging until you find yourself in the sweet spot of what goes into making each dish perfectly. Barbecuing just right is a slow process and can take anywhere from 12 to 16 hours. Sometimes it can feel a little hit and miss at first perfecting the process to get the right amount of tenderness. And finding the right sauce is a big ingredient too. Taking things slow may seem counterintuitive. Most restaurants you see open going full service right from the start, but there is something to say about taking the slow route, especially when it comes to barbecue. 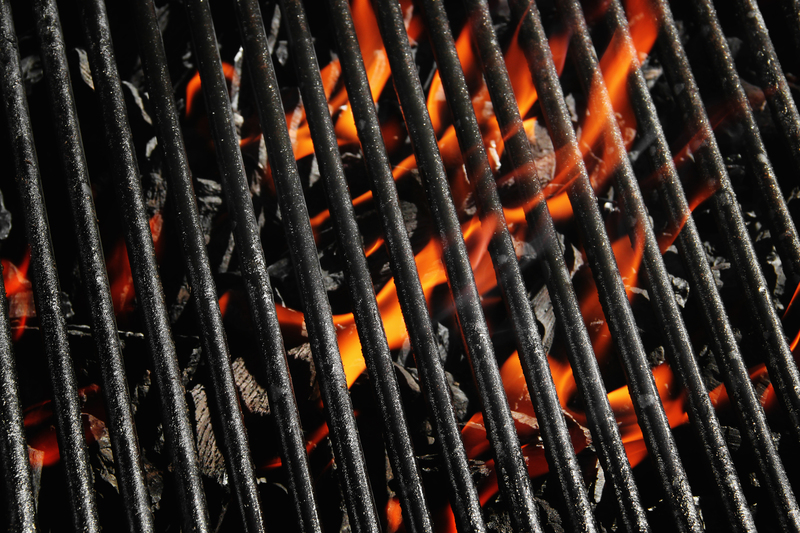 Because there is usually some trial and error when running a barbecue pit, don’t feel pressure to have a lot of dishes on your menu when you first open. Pick a few dishes that are your strongest like brisket, ribs and sausage which are barbecue staples, and start with them. Your customers will appreciate your emphasis on quality. Then when the kitchen is running consistently smooth then start adding more options to your menu. When it comes to investing in and running a business, there is always an element of risk involved. To protect yourself from going completely belly up, you need to make sure you have a fail-safe. Make sure you have money coming in from another avenue to keep you afloat if things don’t go as well as you hoped. That way you can rebound easier from a failed business. If you are new to being a restaurant owner and looking for more support and guidance, consider going the franchise route. Chaps Pit Beef, known for its unique take on barbecue, is looking to open new locations along the East Coast. They are one of the best money making franchises out there today. For more information on how to open a BBQ restaurant, call Chaps Pit Beef today.